Registrations for Summer 2017/2018 are now open. This year all registrations will be via the My Netball website and payment will be required at the time of registration. NetSetGo (moddies) Players (born 2007,2008 and 2009) click here to register. NSG Registration Form . First time users will need to setup a username and password before you register. If you have forgotten either your username or password, click on the Forgotten login, details will be emailed to you. 1 Player $185 ($179 for NSG players) add $70 for each player. More detailed information about Registration for Summer 2017/2018 can be found here. Summer Season Starts: – 3rd October 2017. 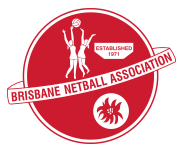 If you are having trouble registering please contact Suzie at rego.klnetball@gmail.com or on 0412475572.